From Germany, the film Wild is likely to press a few buttons of cinema-going audiences this festival, but when it all boils down to it, this is your tried and true fable of a girl's coming out party. Directed by Nicolette Kreibetz and with a strong central performance by Lilith Stangeberg as Ania, a 20 something office worker who doesn't fit in at the office and doesn't fit in in the city. So far, so tried and tested tale of awkwardness. However, one day, while heading home Ania clamps eyes on a wolf, roaming around. Exhilarated and obsessed, she concocts a plan to domesticate the wolf at home - but is her embracing of the feral all it's cracked up to be....? Wild may have taboo busting scenes and moments that will polarise and shock some of the audience, but it's kept grounded by Stangeberg's nuanced turn as the plot progresses. Sure, there are allegories here about surviving as a lone wolf in the workplace, or out in society, but this at-times-confronting piece is also hauntingly shot. 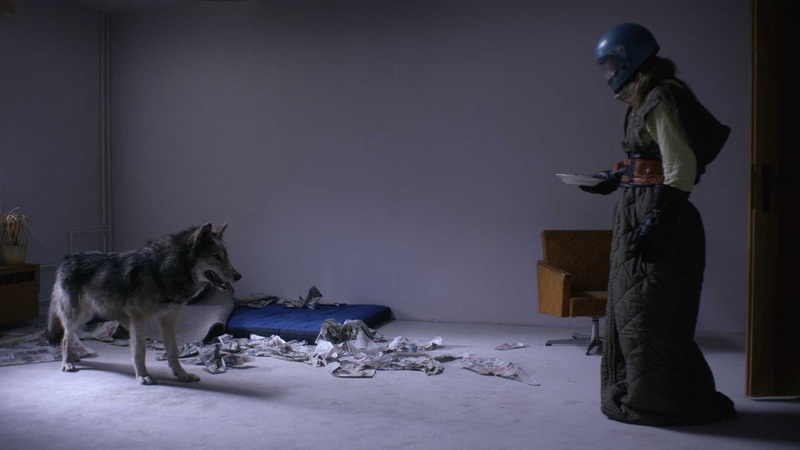 Paced nicely, and with an eddying turn by Stangeberg, as well as the wolves, the descent into the feral is made even more compelling by its execution and by Kreibetz's desire to prod and provoke rather than to abuse and antagonise. Thematically, we've been here a billion times before in terms of sexual awakenings, and a woman's journey to empowerment and of questions about sanity. With a brooding OST and some quite starkly exciting animal training that's clearly taken place, what transpires is not only thrilling and exhilarating, it's what festival films should do at their very best - provoke reaction, discussion and challenge views long after the lights have gone up.